Liverpool, a city in Merseyside, England lies on the eastern side of the Mersey Estuary. The Mersey Estuary which divides Liverpool from the Wirral Peninsula and the boundaries of Liverpoolare adjacent to Bootle, Crosby and Maghull towards south, Sefton to the north and Kirkby, Huyton, Prescot and Halewood in Knowsley towards the east. It was a borough from 1207 and a city from 1880. Towards 2011, the population was 466,415. Liverpool is described as the most splendid setting of any English city, at 176 miles towards northwest of London and situated on the Liverpool Bay of the Irish Sea, it is built across a ridge of sandstone hills which rise to a height of about 230 feet above sea level at Everton Hill. It represents the southern boundary of the West Lancashire Coastal Plain, Being a historical part of Lancashire, Liverpool’s urbanisation and its expansion enhanced its status as a major port which included the participation in the Atlantic slave trade. Moreover, Liverpool was also the port of registry of the ocean line, the RMS Titanic together with several other Cunard and White Star ocean lines like the RMS LUSITANIA, Olympic and Queen Mary. 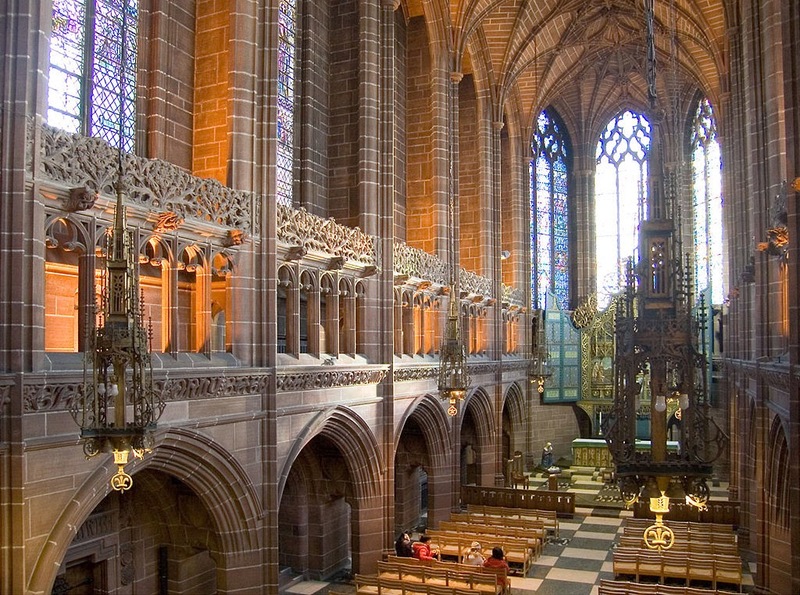 Liverpool’s status as a port city has been responsible to its diverse population which historically came from a wide range of people, religious as well as culture, especially those from Ireland. Besides this, the city is also a home to the ancient Black African community as well as the oldest Chinese community in Europe. The natives of Liverpool are called Liverpudlians while colloquially as Scousers. The word Scouse seems to be a synonymous with the Liverpool accent and dialect. Liverpool’s wealth as a port city helped in the construction of two major cathedrals which dates from the 20th century namely the Anglican Cathedral, designed by Sir Giles Gilbert Scott which played host to the annual Liverpool Shakespeare Festival and has one of the longest naves, the largest organs, the heaviest as well as the highest peals of bells in the world. The Roman Catholic Metropolitan Cathedral on the other hand, which is on Mount Pleasant, near Liverpool Science Park was first planned to be much larger, according to the original design of Sir Edwin Lutyens, though only the crypt got completed and the cathedral was finally built in a simple design by Sir Frederick Gibberd. Though it is built on a smaller scale than Lutyens’ original design, it is capable of incorporating the largest panel of stained glass in the world. Hope Street, the road that runs between the two cathedrals is a pleasing coincidence to believers and the cathedral is colloquially referred as Paddy’s Wigwam because of its shape. The city celebrated its 800th anniversary in 2007 and held the European Capital of Culture title with Stavanger Norway in 2008. 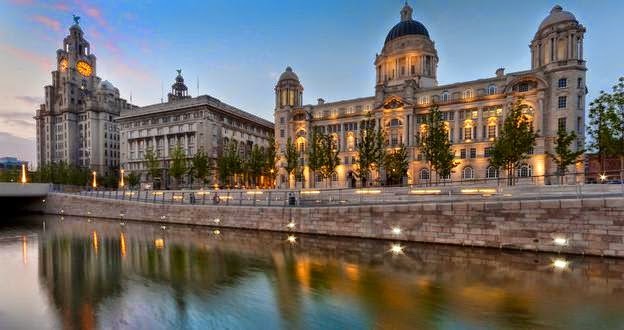 It has also been listed as `the World Capital City of Pop’ by Guinness World Records, by the popularity of The Beatles as well as the other groups from Mersey beat period and much later who have made their contribution to its status as a great tourist destination. Tourism is the main economy of Liverpool. Many areas of Liverpool city centre were listed as World Heritage Site by UNESCO in 2004. Liverpool is also the home of two of its Premier League football clubs namely Liverpool and Everton where matches between the two are known as Merseyside derby and the world famous Grand National also takes place annually, on the outskirts of the city at Aintree Racecourse.